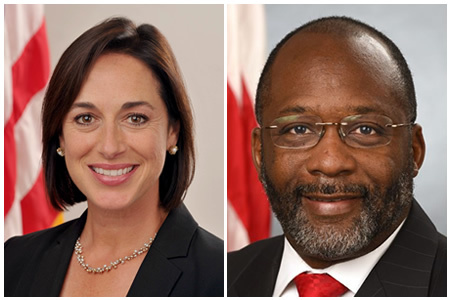 For the past two years, Karen DeSalvo has served as the National Coordinator for Health Information Technology of the Office of the National Coordinator for Health Information Technology (ONC). That role has now come to an end, as today, DeSalvo will be stepping down. The new ONC head will be the former deputy national coordinator, Dr. Vindell Washington. DeSalvo will not be leaving the Department of Health and Human Services (HHS) as she will continue in her role as acting assistant secretary for health, a position she has held since October 2014. DeSalvo took on that post to oversee the nation’s response to the Ebola crisis. Leaving the position of national coordinator will allow DeSalvo to concentrate on that position. Before DeSalvo joined the ONC, one of the ONC’s main roles was to oversee the adoption of electronic health records by the healthcare industry. When DeSalvo took over as head the ONC was becoming increasingly involved with promoting interoperability. DeSalvo played an important part in driving the meaningful use EHR incentive program forward and advancing interoperability. While we are still some way off a fully interoperability healthcare system, considerable progress has been made over the past two years. A National Interoperability Roadmap has been developed, the Federal Health IT Strategic Plan has been updated, and DeSalvo has helped the ONC transition into the post-HITECH era. Dr. Vindell Washington takes over the reins on Friday August 12, 2016. Washington has served as deputy national coordinator at the ONC since January. Since joining the ONC, Washington has played a key role in the implementation of the Interoperability Roadmap, delivery system reform, and the implementation of the Precision Medicine Initiative. Washington has previously served as CMIO of the health system and was the president of the Franciscan Missionaries of Our Lady Health System Medical Group in Baton Rouge. Washington will become the first African-American to become head of the ONC.